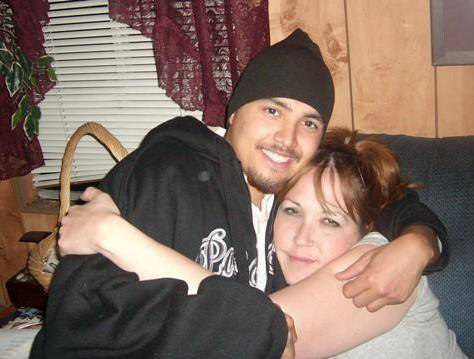 Rico Jones-Fernandez and his mother Lois ‘Lou Lou’ Luella Jones shortly before she passed away on July 10, 2010 from a drug overdose. Jones-Fernandez campaigned for the Tulalip Tribes to adopt a Good Samaritan Law on the Tulalip Reservation that would grant temporary immunity to those seeking medical attention for a victim during a drug or alcohol overdose. The Tulalip Tribes passes the Lois Luella Jones Law on June 7, 2014. TULALIP – For the past few months Rico Jones-Fernandez has campaigned to enact a Good Samaritan Law on the Tulalip Reservation that would provide temporary immunity for people seeking help from 911 emergency services for victims of drug or alcohol overdose. On June 7, his campaign came to an end when the Tulalip Board of Directors voted unanimously to enact the Lois Luella Jones Law into the Tulalip Tribal Codes. While Jones-Fernandez’s dedication paid off for future victims of overdose, his dedication stemmed from personal tragedy. Lois ‘Lou Lou’ Luella Jones is described as a compassionate woman, who loved to laugh and be with her family and friends. She was a proud mother of five children and had grandmother bragging rights over three grandchildren, whom she intended to be close with. But on July 10, 2010, at the age of 41, Lou Lou succumbed to what the coroner’s office, labeled as acute intoxication due to combined effects of oxycodone carisoprodol and acetaminophen. A drug overdose. Her son Rico believes it was a death that could have been prevented if the people in the house with her at the time of the overdose had called 911 for emergency help, without fear of arrest or conviction. On April 13 of this year, Jones-Fernandez introduced an early version of the law to the Tulalip Board of Directors. The draft became known informally as draft 1 after a proposed version of the law was presented by Tulalip Legal Department, known as draft 2. 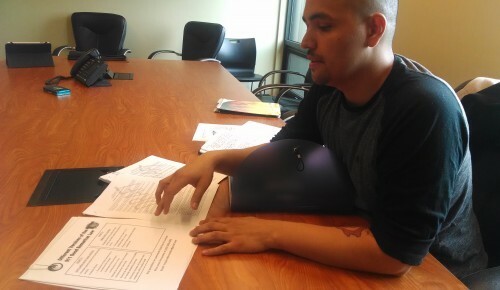 Rico Jones-Fernandez discusses the two drafts the Tulalip Board of Directors examined for a Tulalip Good Samaritan law before passing the Lois Luella Jones Law which would grant temporary immunity to those seeking medical attention for a victim of a drug or alcohol overdose. The two drafts, although proposed to encourage people to report emergencies without fear of self-incrimination, contained vastly different language and protections for the person seeking medical help for a victim of an overdose. Draft 1 proposed guaranteed immunity for persons seeking medical help from being arrested due to possession of illicit substances or paraphernalia charges, underage drinking, or contributing to a minor, including non-violent misdemeanor warrants. Protection for the caller also included the removal of probation being revoked or modified, and immunity to extend to all present that cooperated with medical staff. Draft 2 proposed protection from arrest due to possession of illicit substances and police retain the power to arrest but encourage discretion, including the ability to use the law as a defense later in court if arrested. Jones-Fernandez stated the differences in his draft are not about condoning the crimes, but that life is more important. Tulalip Tribes BOD agreed and passed draft 1 during a regular Board meeting, making the Lois Luella Jones Law effective following a brief 10-day filing with the Bureau of Indian Affairs. Although minor changes were made to draft 1 before it’s approval with the Board, the draft still retained its original language and intent, and can be used immediately. “I’ve talked to hundreds of people about this law, and read everything I could get my hands on. It has come a long way; it has been challenging, but this is going to make things better. It is a good start. It is a great first step that will be effective,” said Jones-Fernandez. This entry was posted in Top Story, Tulalip News and tagged Good Samaritan Law, Lois Luella Jones, Lois Luella Jones Law, Rico Jones-Fernandez, Tulalip, Tulalip Board, Tulalip Board of Directors, Tulalip Reservation, Tulalip Tribal Codes, Tulalip Tribes by admin. Bookmark the permalink.